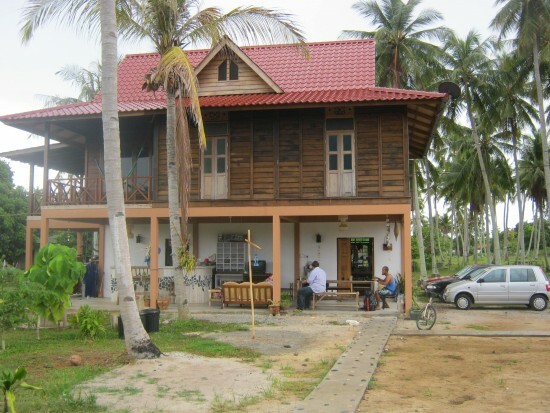 Soluna Guest House is the new kid on the block among the guesthouses in Langkawi’s Pantai Cenang. 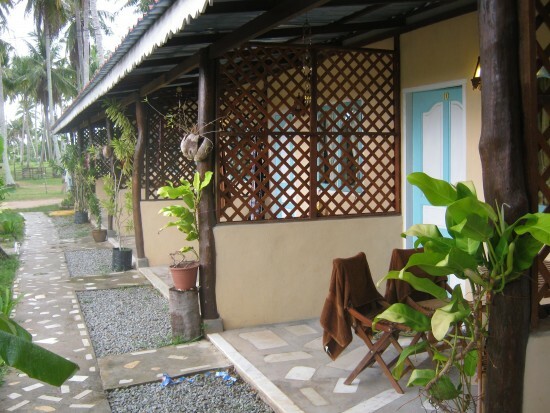 Recently opened, this secluded little rural hideaway surrounded by coconut palms is tucked behind the Laman Padi Museum and is a great budget choice that is only going to improve as the tropical gardens start to flourish. Passing through the blue gates, the first thing you’ll notice is the proprietors’ traditional two-storey Malay-style house that oversees the grounds and the offset rooms. Guest rooms are in a motel-style L-shape, which creates an interior garden that’s just starting to take hold. Plenty of breathing room in the coconut grove. 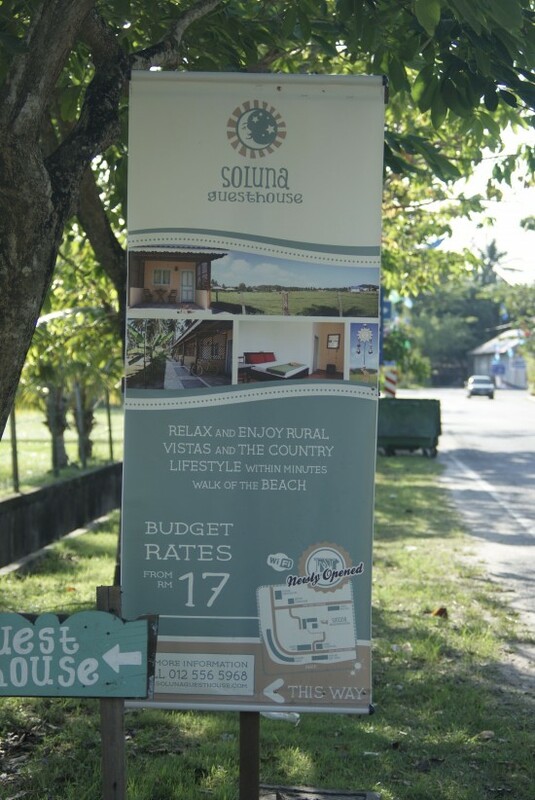 Soluna has 12 individual rooms as well as a dormitory on offer. 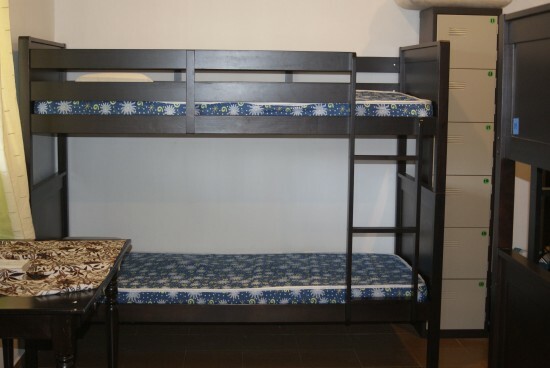 The four basic rooms have fans and share a common bathroom for 40 ringgit a day. The eight ensuite rooms have fans with air-con optional for 50 ringgit, plus an extra 15 ringgit daily if you’d like to run the air-con. The shower baths are small but sufficient for their purpose. Vista viewing verandas are a plus. Each room is simply furnished with a dark wood framed double bed and a small table. The decor may be a bit spartan in a Zen kind of way but they’re clean and spacious in that newly opened way. The rooms also come with a cosy veranda, complete with table and chairs. The dormitory can accommodate 10 guests in five bunk beds of the same dark wood. 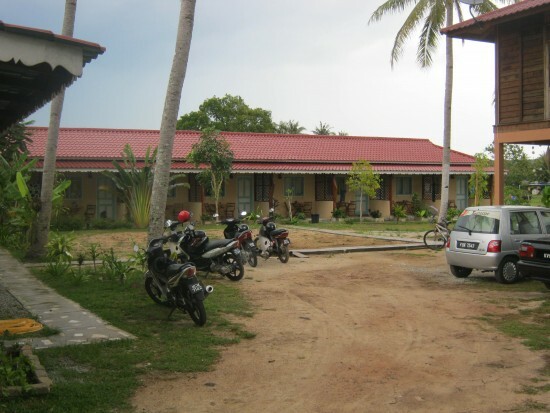 The tiled floors, air-con and spotless condition makes this one of the best dorm stays on the island at only 17 ringgit per night. Spotless dorm room gets an A+. The lower floor of the main house has a small bar counter, casual seating and tables where guests can use the free WiFi. It also serves as a breakfast nook for the limited a la carte breakfasts served, such as beans and toast, eggs and beef bacon, yoghurt, cereals and fruit, all under 10 ringgit. Easy to miss sign points the way. 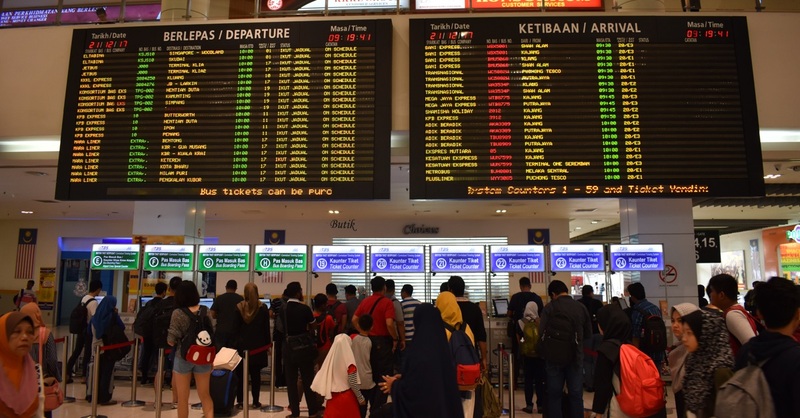 But contrary to its country feel, the bustle of Cenang and access to the beach, restaurants, bars and shops is only a short walk down a path through the towering coconut palms, making the need for a motorbike or hire car secondary. To find Soluna, as you enter Cenang from the north, take a left as you reach the corner edge of the Laman Padi Museum’s surrounding fields. About 100 metres on the right a small sign points the way down a small picturesque road; this road will lead you to Soluna.